With goggles soul in a sunglasses body, this modular eyewear has become the preferred choice of military and law enforcement personnel. This addition to Wiley X's line of “Made-in-the USA” tactical eyewear products is engineered to provide military and law enforcement users with ballistic eye protection and superior performance in harsh conditions such as bright sun, howling winds and blowing sand. 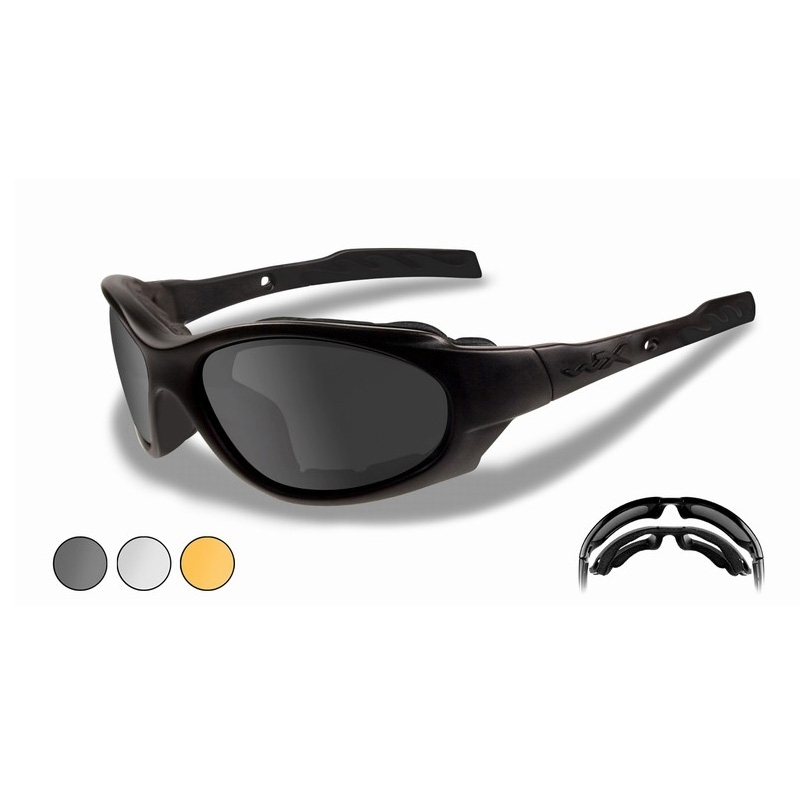 XL-1 ADVANCED is part of Wiley X Eyewear´s successful Changeable Series sunglasses, designed for easy switching of lenses in the field to adapt to changing environments, tactical situations and light conditions. These spectacles are lightweight for all-day wearing comfort and feature double injected temple tips for added stability during heavy action. The Wiley X XL-1 Advanced provides superior ballistic protection. SMOKE GREY LENSES* Maximum glare reduction. Won't distort colors. Excellent in bright/glare conditions. Light transmission: 15%-20% depending on frame style, 12% WX Abby, 11% Polarized. CLEAR LENSES Maximum light transmission. See precise color values. Hazy or overcast, dusk/dawn conditions. Light transmission: 89%. LIGHT RUST LENSES Filters out blue light waves, the chief component of glare and haze. Enhance contrast in medium to low-light conditions. Light transmission: 53%.